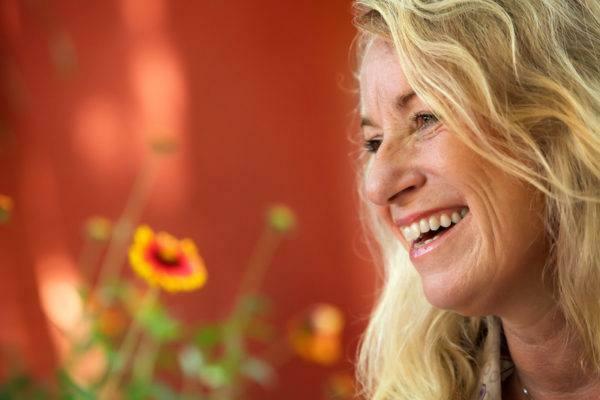 Entrepreneur Anne-Katrine Stabell Hagelund (born 1960) is the force behind Born Global. She is a visionary who makes waves that grow into tsunamis of faith, strength and knowledge. She focuses on authentic leadership – and with a powerful voice and impact she will, through her work in Born Global, continue to inspire and empower even more leaders around the world. Anne-Katrine believes that consciousness when it comes to authentic leadership will motivate, inspire, so you can lead from your own core. The best person to find solutions to your problems is you. Furthermore, she is convinced that empowering female leaders and making them more visible in society in general, will strengthen the cultural view of women, of their roles and their possibilities! Somewhere in Norway, a seven year old girl is standing outside in the snow, wearing nothing but a nightgown, looking up at the stars. She’s thinking: Why am I here? It has been a long time since the little girl found the answers she was seeking. Through her determination, her visions and strong faith in the power of the individual, she created the organization Born Global, which has inspired and strengthened role models worldwide. 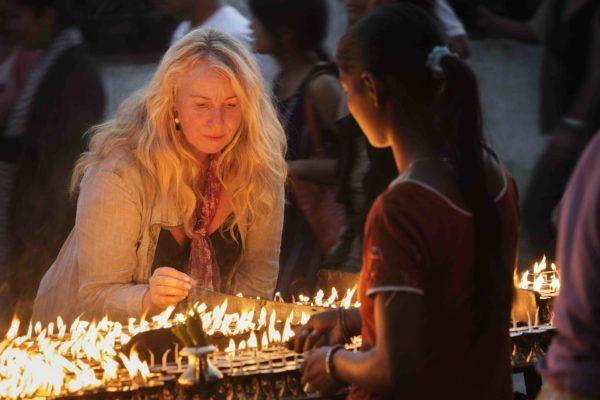 A journey through Asia led Anne-Katrine to Nepal, a country she felt a close connection to. Through Save the Children she was connected to a project in Nepal, working to get girls away from prostitution and into education and work. – I was happy to discover that there were female employees in Save the Children’s partner organizations and seeing how well they worked with women and children out in the field. When I had meetings with the organizations, however, and saw these women standing silently and respectfully behind the men, who were sitting down, I thought: What happened to their evaluations and knowledge? Then and there I felt a strong, unknown togetherness. I, too, have found it difficult to come forward with my views and opinions, and I fervently wanted to provide them with opportunities to strengthen their self-image and develop some skills that would enable them to participate actively in the discussions and the decision making process. At Save the Children, Anne-Katrine meets Sita Ghimire, who at the time was working for Save the Children’s trafficking project. Two different women from different parts of the world, with different backgrounds, different opportunities, but with the same objective! We were both eager to give women strength and provide them with opportunities. It gave us an amazing feeling when we saw women in our training evolve from not wanting to present themselves to take the floor on the third day. Anne-Katrine S. Hagelund is the founder, main sponsor and owner of Born Global, which was founded in 2005 and has conducted leadership development programs in Kenya, Uganda, Bangladesh, Sri Lanka, Laos, Bhutan and Nepal. Born Global is a politically and religiously independent organization, run pro bono by a woman’s strong commitment and desire to make a difference, as well as giving a voice to humanitarian organizations. Its main target is women in countries where women’s rights have a weak position. Read more about Born Global.